This international "anti-movement" of radical young artists claimed that virtually anything could be art. 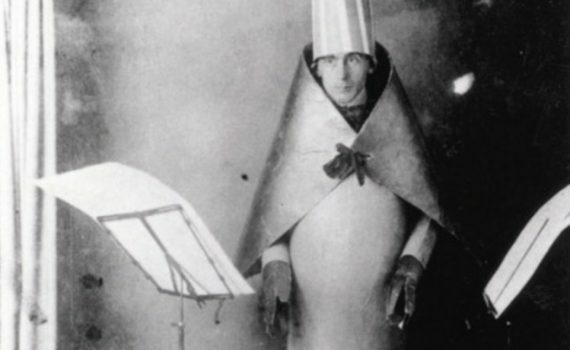 Dada was short-lived and difficult to define, but it continues to have a major impact on art today. A century before democracy was tested by social media gone rogue, Hausmann understood the dark side of technology. Though Picabia borrows from the popular machine aesthetic, nothing about his apparatus is functional. The avant-garde reached new heights by looking to “low” culture; after all, the whole thing started with a urinal! As the European public grew increasingly hard to scandalize, Duchamp crossed the Atlantic to stir up more trouble. This is one of the most important objects of twentieth-century Euro-American visual culture. But… is it art? For this snow shovel, the road from the garage to the gallery was paved with the ruins of art as we knew it. This chaotic montage features the “Where’s Waldo?” of artistic signatures, but its subject matter is no joke.